Dan has been playing sports since he was a kid and has always been an active person. When he was in 8th grade playing JV football he was excelling as a defensive end when he was speared in his back which led to a spinal fracture ending his athletic career for the rest of the season and going into the next year. It’s when he started rehabilitation that he first started finding himself becoming more focused on fitness and learning how to lift weights. Through the years Dan excelled at mechanics and learning his trades. He was interested in building cars and hotrods and has continued doing so through the years to this very day. He is an extremely hard worker and keeps himself busy with work, weight training, and martial arts most days of the week. 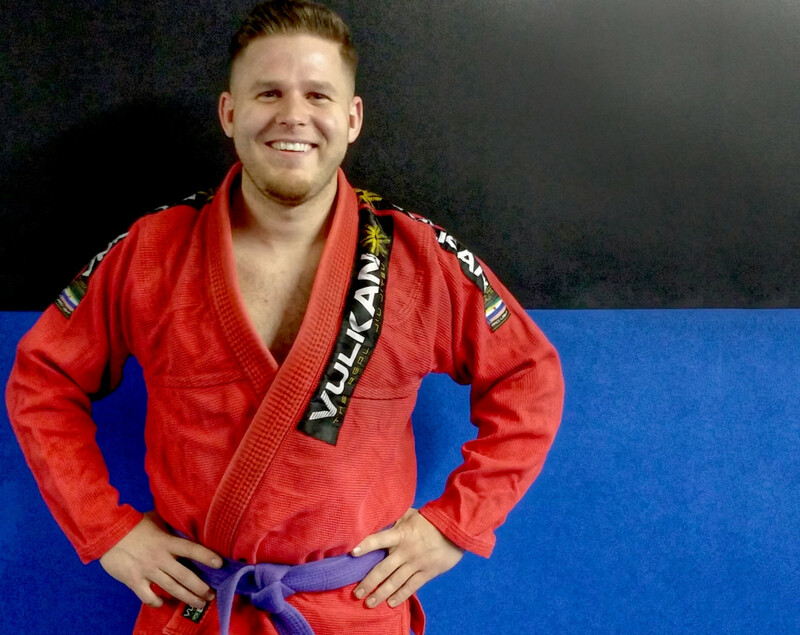 Dan started BJJ in his early twenties and fell in love with it. His passion and dedication show in his ability and his passion for helping others learn BJJ. He enjoys the martials arts aspect of BJJ, but he enjoys the competitive sport aspect even more. He climbed his way up from white trying his skills in multiple tournaments as a blue belt and placing is most before finally graduating to his purple belt under the ranks of BTT Boston Black Belts in 2014. He continues to grow and learn training with other high level partners while teaching as much as he can every week. Dan has helped coach multiple athletes through tournaments and MMA matches. He continues to improve and loves helping others reach their goals. Dan has a bright future ahead of him and will never stop pushing to reach his goals as well. With his experience and knowledge he will help our athlete at Boom! Athletics take their training to the next level.